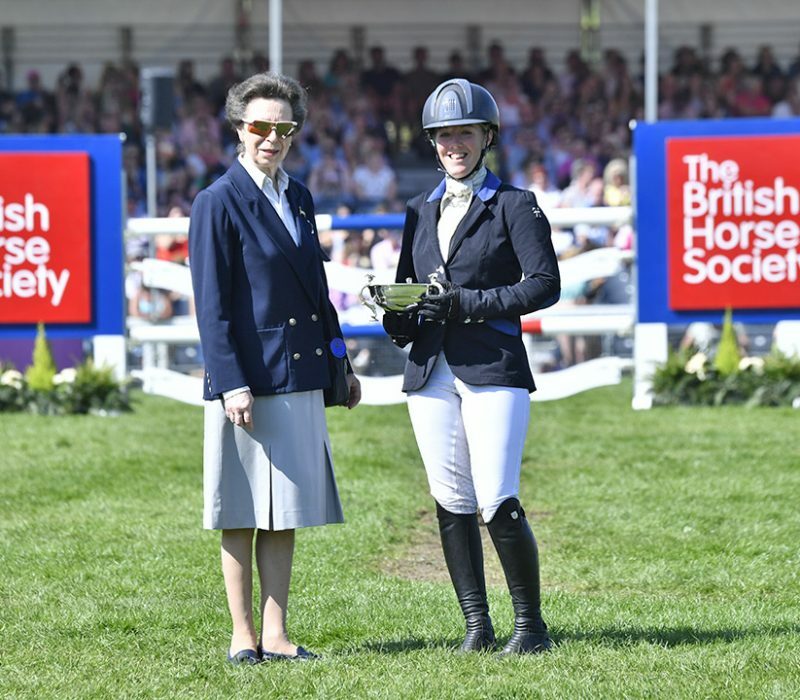 Imogen Murray won the Glentrool trophy for being the highest climber after the dressage. She and Ivar Gooden rose from 59th after dressage to 11th place thanks to one of the fastest rounds across country yesterday (for 4.8 time penalties) and just one pole down in the showjumping. “He’s not a dressage diva and never has been, so to pull up [the order] and finish where he did is better than I ever could have imagined,” said Imogen, 24, for whom this was a second Mitsubishi Motors Badminton completion. “Removing the dressage coefficient means that the jumping is more influential and seeing what Jonelle [Price] was able to do [win despite being in 22nd place after dressage] is very inspiring. Imogen, who finished 14th at Burghley last year, has a yard in Leicestershire and has been riding since the age of four. She took up eventing aged 13 after a successful showing career in both working hunter and show hunter ponies, regularly competing at the Royal International Horse Show and Horse of the Year Show. To find out who won the other special prizes, click here.